Spring is springing, birds are singing, I am sneezing! Spring is my favorite time of year, even with the stuffy nose. Since I know it’s still snowing in some parts of the country and Spring is probably a distant dream for some of you, I thought I’d share two of my favorite Spring time places. You know, to rub it in warm you up. 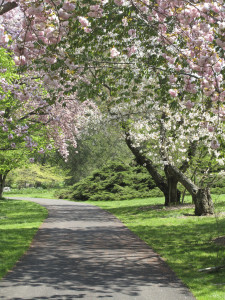 First, The Morris Arboretum. If you live anywhere near Philadelphia (and by near I mean within a 12 hour drive) take a day and visit this fantastic garden. It’s small enough to walk the whole thing without exhausting yourself, but large enough to lose yourself somewhere among flowers and trees. It’s beautiful any time of year, but in about a month things should start really blooming—especially the trees. It’s a great place to take the kids and wear them out teach them about nature. Take a picnic lunch, hang out on the grass, and count the butterflies. The rose garden at the Morris Arboretum. Picture all that, in full rosey bloom. 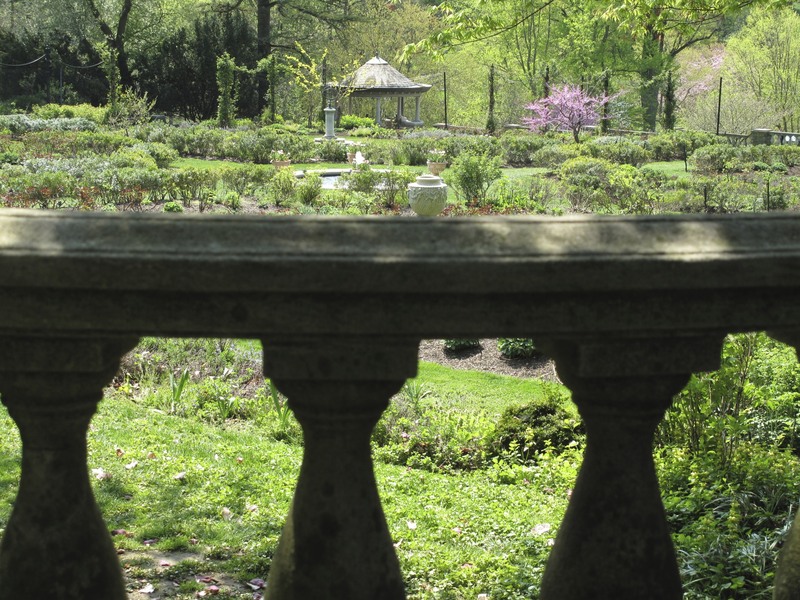 Once you’ve seen spring at the Morris Arboretum, go back in the summer for the full effect of the rose garden. The Queen of Hearts is envious of this garden! Some of the plants stretch about 2 feet above my head by the end of summer. It’s a maze of roses, with benches here and there to sit and admire the view. And bees. Don’t let the bees scare you away, though. Although I may have altered my path a time or two to make way for a few of them. Didn’t want to intrude, you understand. If you are in the Dallas area, do yourself a favor and spend a day at the Dallas Arboretum. I have a real soft spot for this one as it happens to be where my hubby and I got married. Ah, romance. Ah, the memories. If you go on the weekend, you’re guaranteed to see at least five brides flitting down the pathways. I know our wedding had at least 20 spectators, in addition to our guests. 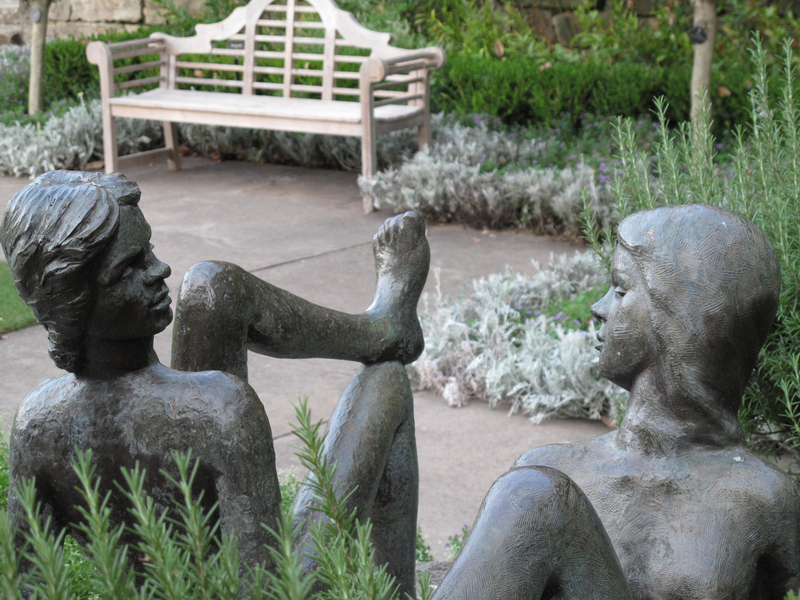 Statues in the Sunken Garden at the Dallas Arboretum. They watched as my hubby and I got married. Awww! 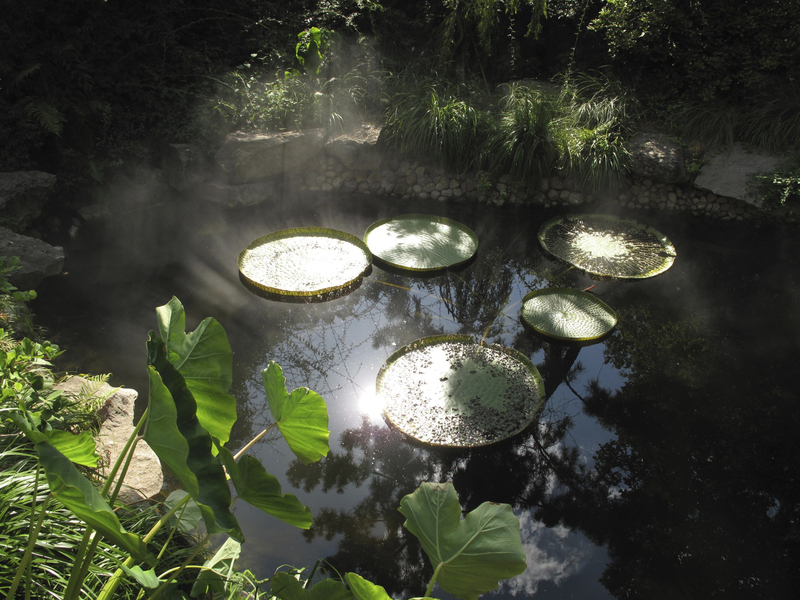 The Dallas Arboretum often has evening events and concerts, and there’s always a program going on for the kids. Or the adult who wishes they were still a kid. Or heck, the adult who is thinks they are an adult but enjoys acting like a kid on occasion. You get the idea. Wherever you live, there’s bound to be an arboretum nearby. Go, get out of the office/house/basement/dungeon, see the bright sunshine and experience these magical places. Who knows, you just might find a fairy lurking there. Or at the very least you might get a tan.